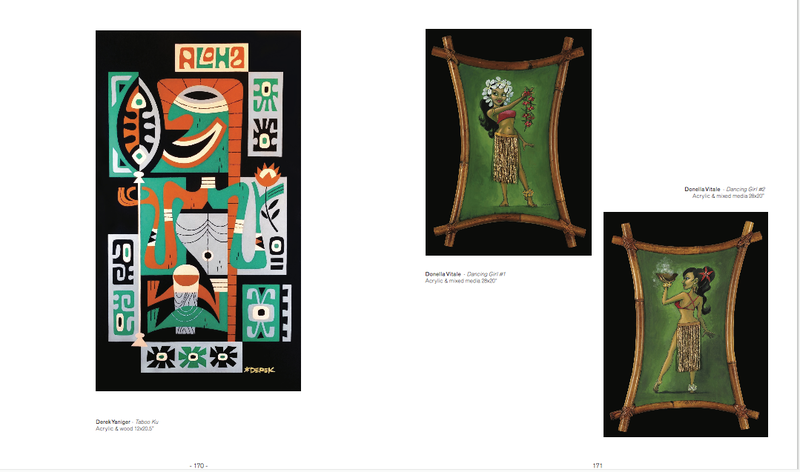 This is the conclusion of a three-part series about the upcoming The Art of Tiki show in Los Angeles at La Luz de Jesus gallery. The show is a celebration of the 21 years that have elapsed since the first Art of Tiki show at La Luz, back in 1996. The show opens on Friday, October 6, 2017, and runs through October 29. 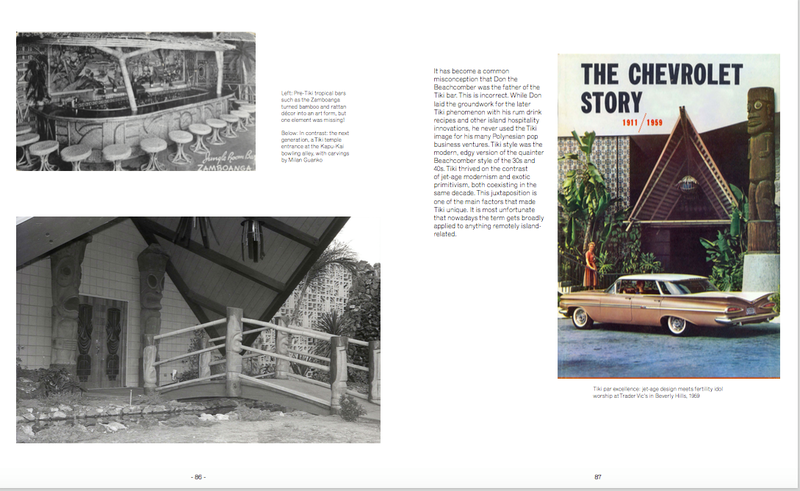 Once La Luz de Jesus and Otto von Stroheim decided to mount an art show to celebrate how far tiki has come in the last 21 years, La Luz owner Billy Shire knew what he wanted for the show’s catalog… or rather, who he wanted: preeminent tiki historian and author Sven Kirsten. 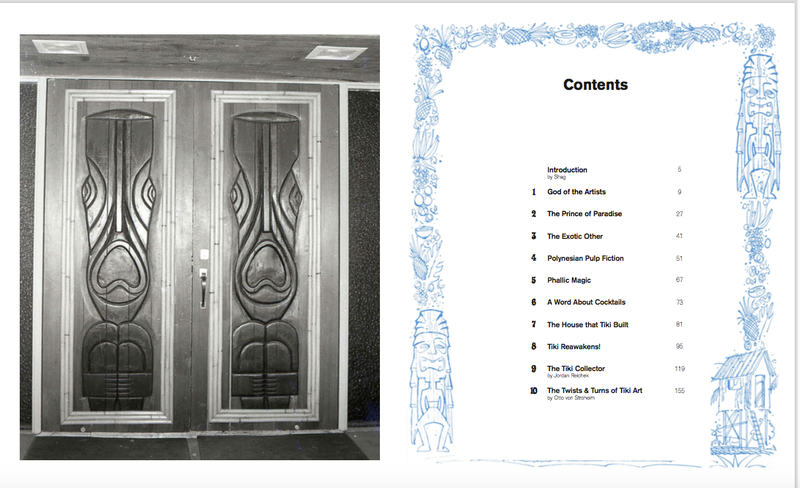 Sven literally wrote the book on tiki (he even called it The Book of Tiki) back in 2000. 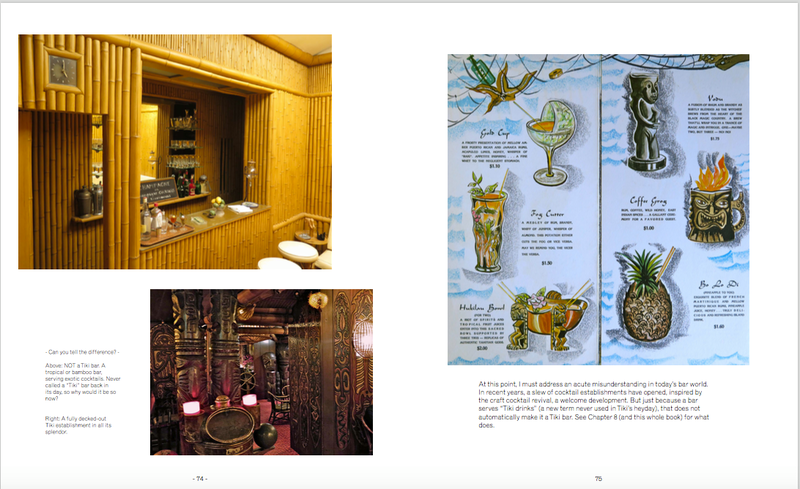 His books since then include Tiki Modern and Tiki Pop, and now the new book to accompany this show, also called The Art of Tiki. Before we dive into what you’ll find in this new book, let’s help you figure out how you’re going to get your hands on it, because Sven’s books sell out and don’t get reprinted (whyyyyy????) and wind up being hot items on the secondary market, commanding hundreds of dollars and becoming collectibles in their own right. So go buy the book now while you can. The book will be available this coming Friday, at the opening show at La Luz de Jesus gallery, and Sven, Otto, and many artists will be there signing books between 6-8pm. Pre-ordering of the book is recommended, they’ll only have a limited number of copies on site. You can pre-order the book through La Luz, and your book will arrive signed by Sven, Otto, and the artist Shag. One of the shipping options is “pickup” if you’d like to get your book at the show (or you can have it shipped to your home). The book is also available (unsigned) for pre-order on Amazon. Now that you know how to get it, let’s talk about what it is, thanks to a preview provided by Sven himself. 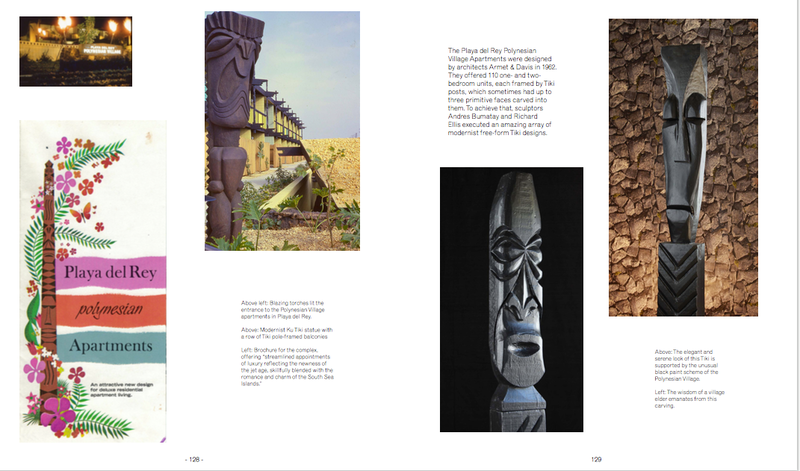 The book has three sections (plus an introduction by the artist Shag): first, eight chapters across 115 pages of text and photography by Sven Kirsten digging into Tiki as a distinctly American art form; then 30 pages of Jordan Reichek’s incredible collection, with a brief statement by Jordan and many photographs and annotations of the collection by Sven; and ending with the catalog of the modern art being presented at gallery, curated by Otto von Stroheim, about another 40 pages. I’ve already shared with you some background on Jordan and Otto‘s contributions, now let’s dive into Sven’s portion. 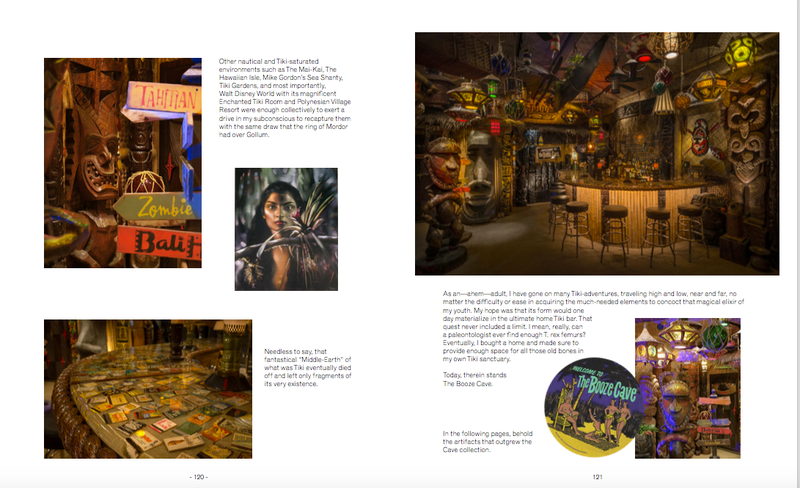 My concept for the main part of the book was to again provide proof why American Tiki is its own art form (with mostly unpublished material, as I always strive to), but all in context to the vintage and modern art that will be in the show. 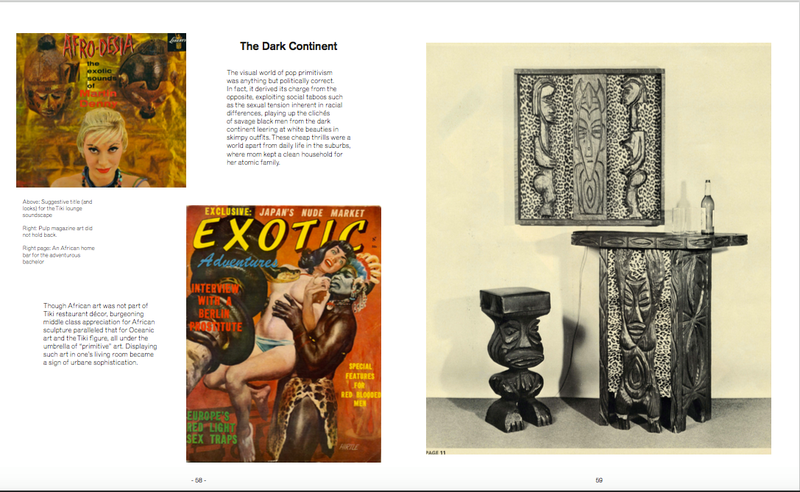 In this chapter, he also discusses the ways mid-century Americans saw what they wanted to see when looking at other cultures. As a historian, Sven is not particularly interested in divvying up the “good” or the “bad” consumption of outside ideas, but rather is much more interested in an untimid and honest view of what was and how that shaped the mid-century American world. 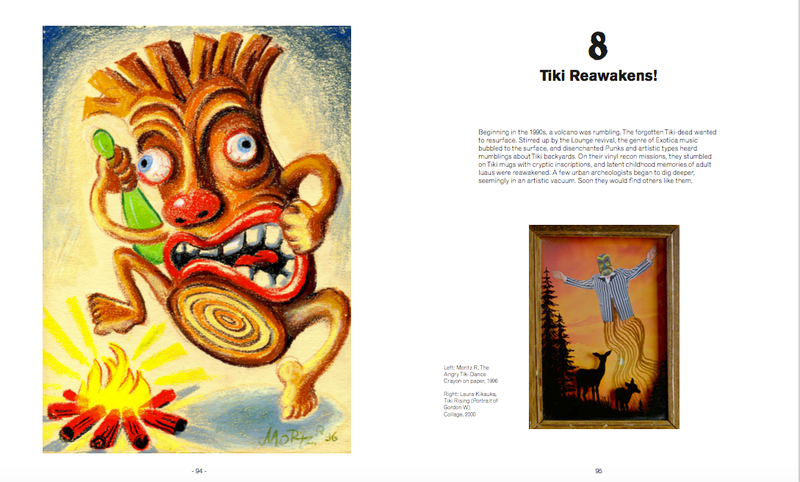 Chapter eight, about the revival of interest in Tiki style, ties in nicely with the fact that this show is a celebration of 21 years since the first Art of Tiki show at La Luz de Jesus. 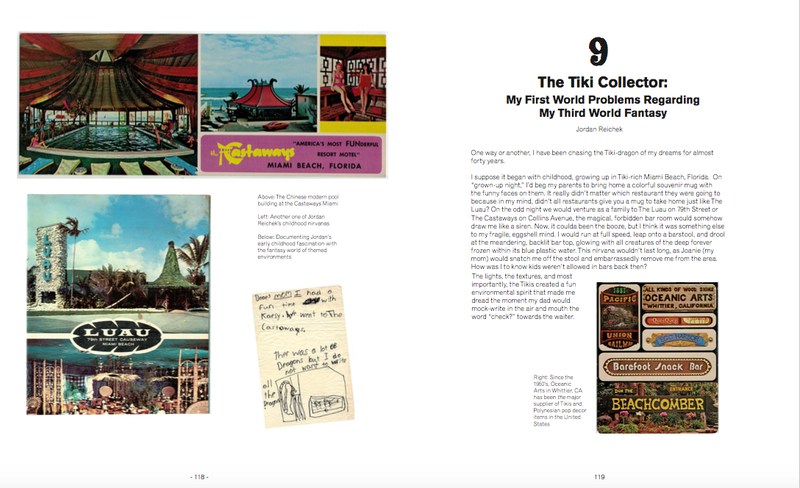 The “tiki revival” isn’t new, it’s been underway for decades now. It’s always fun to hear the stories of its germination in the ’80s and early ’90s, and see how it has grown and evolved. 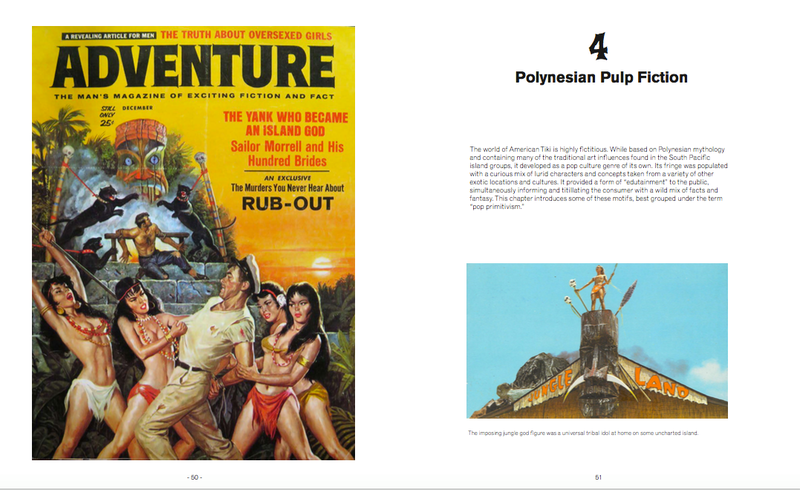 All in all I had a lot fun making this book, and I think it comes at a good point in time when it is necessary to re-focus on what was so cool about the original Tiki style. 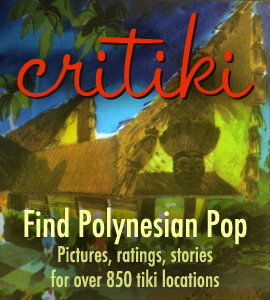 “Tiki Pop” was almost too voluminous for that, this one will be an easier read. Sorry, just double checking…if we pre-order the book through the La Luz website, it will arrive as a signed copy? That’s what the La Luz website seems to say, but I’d suggest calling them to be sure. They can only ask the fellas to sign so many copies, after all!